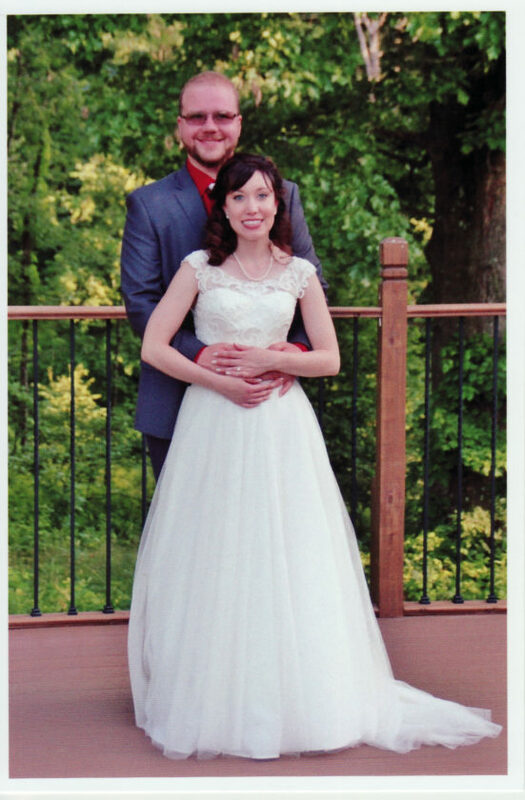 STEUBENVILLE — Rachel G. Keyser and James D. Wood were united in marriage on June 17, 2017, at Finley United Methodist Church in Steubenville. The Rev. Jerry Ernst officiated the 1:30 p.m. ceremony. The bride is the daughter of Dave and Suzanne Keyser of Richmond. Parents of the groom are Cliff and Emilee Wood of East Springfield. Escorted to the altar by her father and given in marriage by her parents, the bride chose an ivory chiffon A-line gown with a sweetheart neckline, sweep train and cap sleeves. The natural waistline was accentuated by a satin and rhinestone sash. She wore a cathedral length scalloped veil adorned with sequins and lace. She carried a bouquet of crimson roses, ivory roses, Viking mums, purple delphinium and baby’s breath. Susan George of Canal Lewisville was matron of honor. 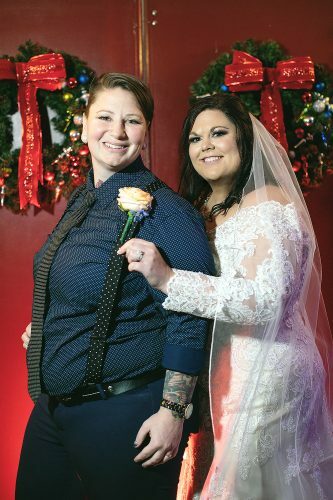 Amanda Miller of Wintersville was maid of honor. Bridesmaids were Kayla Wright of Steubenville and Kayla Wood of Richmond, cousin of the groom. 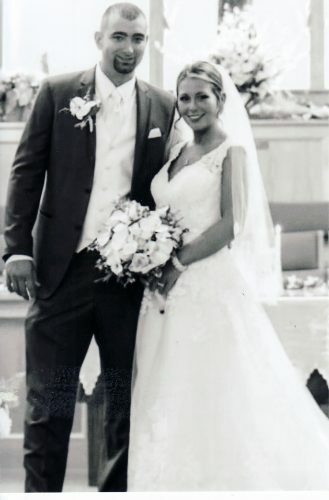 Ashley Keyser, biece of the bride, was the flower girl. Jeff Wood of East Springfield, cousin of the groom, was the best man. Groomsmen were Todd Wood of Richmond, uncle of the groom; Gabriel Thomas of Mingo Junction, cousin of the bride; and Josh Baker of Toronto. 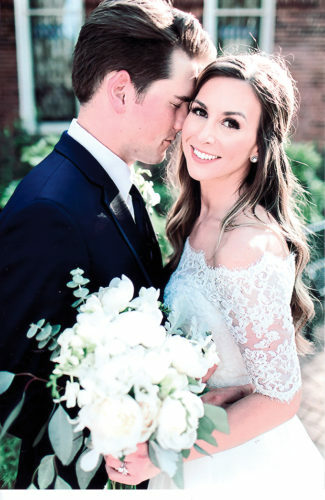 Following a reception held at Century Farms in Carrollton, the couple honeymooned in Tennessee. 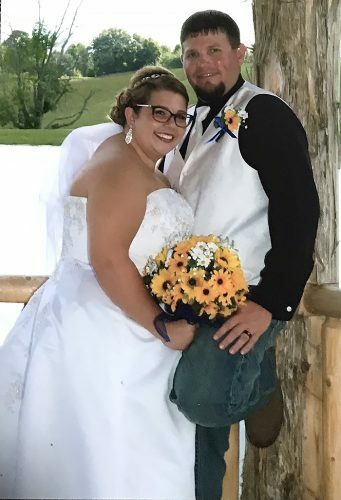 The bride is a graduate of the Jefferson County Christian School and Franciscan University of Steubenville. 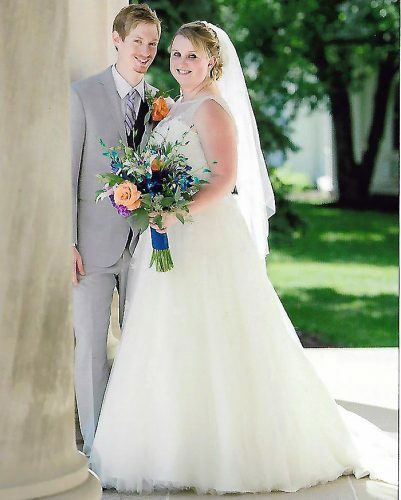 The groom is a graduate of Edison High School and Franciscan University of Steubenville. The couple reside in Bloomingdale.